WMMT’s mission is to be a 24 hour voice of mountain people’s music, culture, ansd social issues to provide broadcast space for creative expression and community involvement in making radio, and to be an active participant in discussion of public policy that will benefit coalfield communities and the Appalachian region as a whole. WMMT broadcasts at 15,000 watts from Mayking Peak in Letcher County, KY., and is heard across much of southeast Kentucky, southwest Virginia, and southern West Virginia (as well as portions of eastern Tennessee and western North Carolina) by way of 8 translators stationed around central Appalachia. WMMT’s heart and soul lies in the music our 50-some volunteer DJs send out over the Appalachian airwaves each and every day. Our programming is as diverse as our listenership, but we are particularly proud of our commitment to traditional Appalachian music and its descendant, bluegrass. We feature regular old-time programming, and our long-running Bluegrass Express Live! program has brought the genre’s brightest lights to the Appalshop stage and WMMT’s airwaves since 1985. 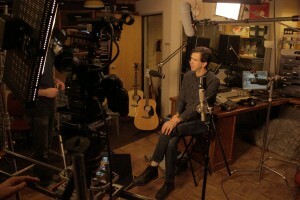 We also feature programming across most any genre you could think of—on a typical Monday, for example, listeners can hear gospel, old-time music, bluegrass, contemporary local bands, hip-hop, a series of messages that we record in-house from the loved ones of those incarcerated in our region’s massive prison population, and world music. This diversity of programming is a direct reflection of WMMT’s commitment to serving as a voice for each and every segment of our local population, to giving folks a means to play and hear the music they love, to keeping our traditional culture both alive and thriving, and to providing the people of Appalachia the means through which to tell their own story to listeners both across the holler and around the world. 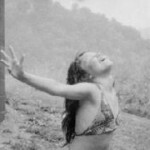 We truly are “Real People Radio,” and we invite you to join us, either at 88.7 on Appalachia’s Radio Dial or streaming live at wmmt.org. Making Connections, a multi-media platform for sharing news, stories, and information highlighting both opportunities and challenges for building a healthy future for Appalachia’s people and our land. Recent radio features include the potential closure of 9 post offices here in Letcher County, a grassroots citizens’ organization opposing proposed school consolidation, and potential income opportunities from non-timber forest products. Fractured Appalachia, a series of radio broadcasts, public forums, and an online resource developed to inform residents on issues surrounding the increasing presence of oil and natural gas extraction in Central Appalachia. Hot 88.7 Hip Hop from the Hill Top & Calls From Home, airing on Monday nights in an effort to engage with our booming prison population. We air hip hop (a rarity on Appalachian radio) from 7-9 PM, followed by Calls from Home, a program which broadcasts messages from loved ones to those incarcerated within our listening area. Each week our DJs record these phone calls during the hip-hop show for immediate broadcast at 9 p.m. The Passing the Pick and Bow After-School Program, which offers instruction in traditional Appalachian music and places banjos, fiddles, guitars and mandolins in the hands of nearly 100 students each year. WMMT is also a member of the National Federation of Community Broadcasters. APPALSHOP BOARD AND MEETINGS INFORMATION. 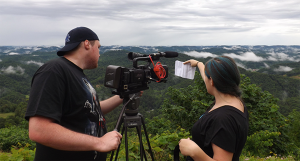 WMMT-FM is a project of Appalshop, Inc., a not-for-profit arts and education center in Whitesburg, KY., dedicated to documenting and preserving the life and culture of Appalachia. The governing body of WMMT is the Board of Directors of Appalshop, Inc., which meets twice yearly. All Board meetings that relate to the conduct of public broadcasting by Appalshop, Inc., are open to the public. All meetings will be held at Appalshop, 91 Madison Avenue, Whitesburg KY, and will begin at 10 AM. For further information please contact Appalshop at 606 633-0108. 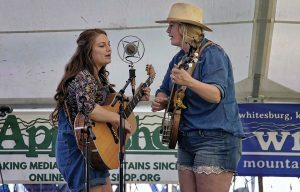 After an arduous journey, the Appalshop, convinced that its mission to let mountain people speak for themselves should be expanded, brought to the airwaves of central Appalachia an incredible new voice, 88.7 WMMT-FM. With not as much fanfare as it deserved and scant resources, WMMT began broadcasting a few hours a day. As word got out and listeners discovered the odd duck at 88.7 on their dials, calls from would-be programmers trickled in. The concept has always been to provide an opportunity for our communities to speak up about matters important to them and what better way than consumer friendly, accessible, affordable radio. However, the struggle at first was just to find people to fill time slots. Another obstacle was the perception of local folks that WMMT wasn’t a “real” radio station. Having been forever fed the lowest common denominator commercial radio, many had doubts because 88.7 certainly didn’t sound like any station they had ever heard before. The irony, of course, was that not only are we “real people radio,” we are also one of the most powerful stations in the entire region. WMMT’s transmitter, the highest in the state, is atop Mayking Peak on Pine Mountain, the second highest point in Kentucky (next to Black Mountain) and that gives us phenomenal reach. A few year’s back, in large part because of our listeners’ letter writing campaign and financial support, we were successful in replacing our original 1000 watt transmitter with a spiffy new 15,000 watter. That enables us to blanket eastern Kentucky, southwest Virginia and southern West Virginia. In addition, we installed translators in hard to reach communities to help overcome the very substantial obstacles created by our rugged mountain terrain. In fact, by the very determined and popular request, our newest went on the air May 11, 2000, at Brumley Gap, Virginia, and enhances reception in Abingdon, Tazewell and Lebanon, Virginia, areas. Being where we are, it’s hard to know exactly how many folks we reach, but a survey conducted in 2007-2008 by San Francisco State University, in conjunction with the National Federation of Community Broadcasters, found that nearly two-thirds (61.2%) of those surveyed (primarily at locations in Pike County, Letcher County, and Wise County, VA) identified as WMMT listeners. Another survey conducted in late 2004 by the University of Kentucky indicates that WMMT is in the top 10 among stations most listened to in the tri-state region. Either way, we reach a potential audience of up to 300,000 here in the mountains, and an infinite potential audience online. Filling program slots is no longer a problem. After demonstrating its stability, WMMT has become a constant part of thousands of mountain people’s lives. The programming today is created by more then 50 volunteers from throughout the region. WMMT has trained more than 300 people in radio production and more than 50 of the “graduates” have found employment in radio. And many of the young programmers have gone on to study media production in college. WMMT’s programming is as diverse as its listenership, but we are particularly proud of our commitment to traditional Appalachian music and its descendant, bluegrass music. But we also have killer rock & roll shows, Americana, Kid’s Radio, indie, soul, jazz, blues, gospel, hip-hop, metal, punk, world music, and all genres in between. But WMMT is not just a great music station. We are also dedicated to providing a forum for discussions on issues of vital interest to our entire region and the world. 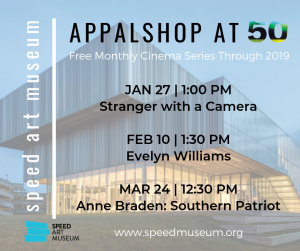 We do this with a diverse offering of public affairs programming, all dedicated to Appalshop’s founding proposition that mountain folks be allowed to speak for themselves and tell their own stories, in their own words. . . .WMMT, which reaches across the mountains, coal fields and hollows of eastern Kentucky, southwestern Virginia and southern West Virginia, creates a connective tissue for its far-flung, geographically isolated listeners. It also offers respite from the daily grind. Like the redbud trees that are starting to burst forth in violet patches along the scrubby hillsides here, the sounds from the radio can be, if not essential, at least life-affirming. You can see a full roundup of press we’ve received on our Press page. We are a regional resource and have received awards from community groups throughout Central Appalachia, including the 1999 Outstanding Media Award from the East Kentucky Leadership Foundation. In 1986, WMMT brought live performance radio, a staple of the early days of radio, back to the mountains. Our first live broadcast from the 150-seat Appalshop Theater was that November and marked our first anniversary. The show, Bluegrass Express Live, has now grown to be one of the premiere bluegrass shows in the nation and features the very best groups in contemporary bluegrass, including Blue Highway, Dave Evans, Ralph Stanley, Larry Sparks, Larry Cordle and Lonesome Standard Time. We also broadcast live jam sessions and concerts featuring traditional music and storytelling. 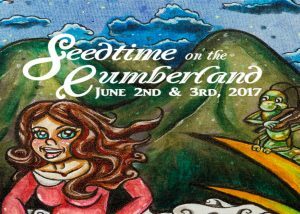 The Appalshop’s annual Seedtime on the Cumberland Festival is the crowning jewel of WMMT broadcasts. 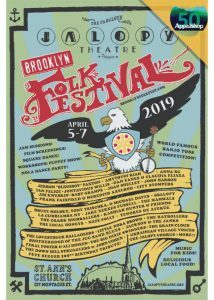 Seedtime features two or three days of indigenous mountain music, storytelling, Appalshop films and video, readings, theater, reminiscing, crafts, food and fellowship. WMMT broadcasts the music and readings throughout. Over the years WMMT has continued to grow. We are now on the Internet and are live worldwide. We’ve found a lot of displaced hillbillies out there, as well as many wannabe hillbillies, and we are hearing from them. We are pleased to be able to provide slices of home for them and people across the globe. WMMT is truly the international voice of the mountains. But one thing has remained steady: our unwavering commitment to provide a voice for the folks of our region and to provide access for them to speak for themselves. At 88.7 (or online), you’ll hear true community radio, one of only a handful of such stations in the whole country. One moment you may hear a great-grandfather playing his favorite bluegrass tune, another day a teen-ager sharing his love of hip hop, a kid talking about his first fish, local musicians being interviewed and played, people talking about chip mills or who knows what else.We thank you for being a part of the history – and the future – of Listener-Supported, Consumer-Run Mountain Public Radio. For more WMMT History, visit the WMMT 20 year anniversary web site. For a photo of Marvin’s Inny, click here. WMMT’s Community Advisory Board meets 3-4 times per year at Appalshop, 91 Madison Ave., Whitesburg, Ky., 41858. The meetings are free and open to the public. Call WMMT at (606) 633-0108 or email us at [email protected] for more information. As per CPB requirements, we permit our Community Advisory Board to: establish and follow its own schedule and agenda, within the scope of the board’s statutory/delegated authority; review the programming goals established by station; review the community service provided by the stations; review the impact on the community of the significant policy decisions rendered by the station; and advise the governing board of the station whether the programming and other significant policies of the station are meeting the specialized educational and cultural needs of the communities within our listening area. This board may make recommendations to WMMT’s governing board to meet those specialized needs. Most recent WMMT Audited Financial Statements (Contact WMMT for copies of previous Audited Financial Statements by calling 606-633-0108 during business hours M-F or by emailing [email protected]). Most recent CPB Annual Financial Report (Contact WMMT for copies of previous Annual Financial Reports by calling 606-633-0108 during business hours M-F or by emailing [email protected]). Annual Report on Local Content & Services from the most recent CPB Station Activity Survey. Most recent EEO Report to the FCC. WMMT’s FCC Online Public Inspection File. We always appreciate hearing from our listeners and welcome your questions, comments, or your visits! We are located at Appalshop, 91 Madison Ave., Whitesburg, KY 41858. Our office phone number is (606) 633-0108, and you can reach us by email at [email protected].